Hootie & the Blowfish drummer, Jim “Soni” Sonefeld dreamt more of being a professional soccer player than a successful musician. However with the unsuspected success of the band’s 1994 debut release, Cracked Rear View on Atlantic Records, he and his bandmates found themselves traveling the world to support what would become the 16th best-selling album of all time in the United States. 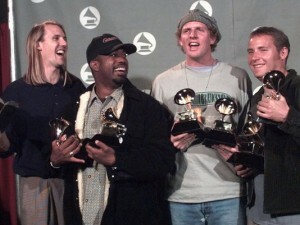 The first single, “Hold My Hand,” a tune Sonefeld brought to the band early on, helped to springboard Hootie & the Blowfish into its great success, and likewise showcases his songwriting ability. In the years to follow, the band would record four more studio albums and receive numerous awards, among them, two Grammys. During this era, Sonefeld’s lines of truth became blurred and his addictions began to take over his life as he relied heavily on drugs and alcohol to cope with the emptiness growing inside of him. He struggled to find peace and to hold his personal life together while surviving as a progressively sick alcoholic living life on the road. Friends and family members tried interventions to no avail. In 2004 Sonefeld finally accepted that he was powerless over drugs and alcohol and that his life had become entirely unmanageable. 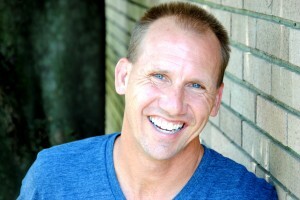 In sobriety Sonefeld discovered there were parts of his life that had incurred damages beyond repair, but that God would heal him if he turned his life over to His care. Since then, a full spiritual awakening lead to a complete lifestyle change and has inspired Sonefeld to follow a new path of clarity, and nothing was clearer to him than God’s calling to recreate himself as a Contemporary Christian artist. With his third solo release, Love, he celebrates an overflow of gratitude for the new life he has received through God, which is clearly reflected in his faith-inspired lyrics. From the opening song “Not waiting on Sunday” Sonefeld shares that God is “a gift that I [he] can barely wait to open every morning.” This gift of mercy is what leads him to help others in recovery by sharing his story and his music with Celebrate Recovery groups around the southeast. Celebrate Recovery offers healing for a broad range of hurts, hang ups, and habits including chemical dependency and has been a venue where Sonefeld steps out from behind the drum kit to not only share his recovery story, but his Christian rock music as well. These days, Sonefeld relies on coffee, his obsession with English Premiership football, and the love surrounding his blended family of 5 children in his remarried life. Sonefeld does not take for granted the blessing of the far-reaching audience he has garnered through his career with Hootie & the Blowfish. The band still plays 3 or 4 shows a year to support their Hootie and Blowfish Foundation which supports South Carolina charities. No matter the size of the audience before him, Sonefeld is ultimately inspired to give glory to the One who saved him.